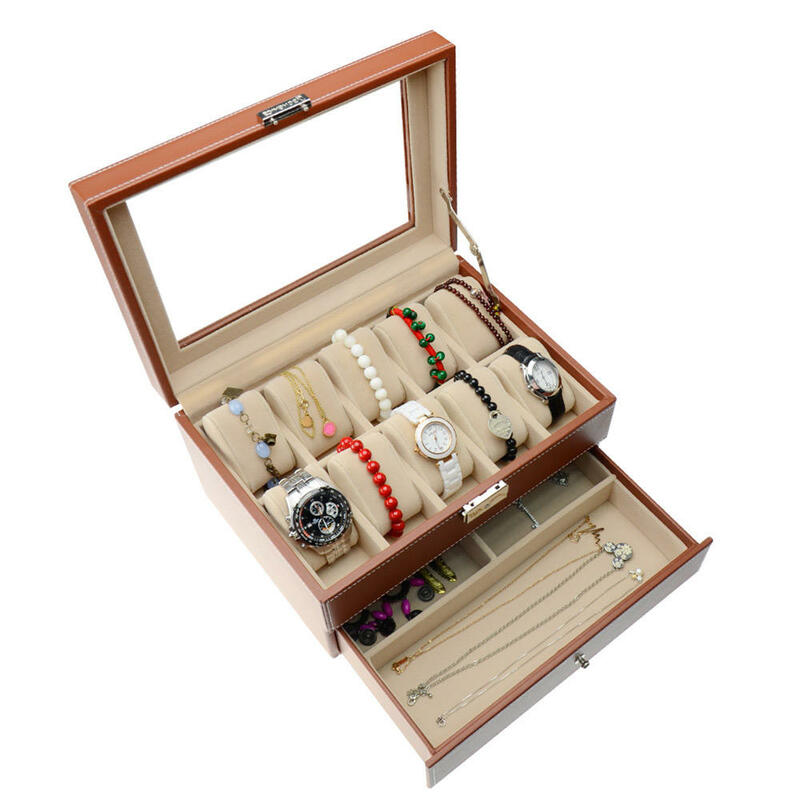 This Watch Box Organizer contains 10 watch grids, 3 large compartments, Watch & Jewelry Box. Metal arm & sturdy hinge, keep the lid from falling back. With Lock and keys, it increased security of your watches. Big dial watches fit nicely as well. 【Size】(L x W x H) : Case 11 7/16" x 8 1/16" x 5 13/16" (29 x 20.5 x 14.8 cm) / Watch Slot: 3 7/16" x 1 3/4" x 1 1/2" (8.8 x 4.5 x 3.8 cm) with Removable Pillow . 【Metal arm & sturdy hinge】keep the lid from falling back.